Customers and employees waited outside as agents conducted an operation Friday at an Edinburg sports bar. EDINBURG — The Drug Enforcement Administration conducted a law enforcement operation at a sports bar here early Friday evening, resulting in an apparent arrest. DEA agents entered Danny’s Sports Bar & Grill located in the 1200 block of East University Drive just after 5 p.m. They were assisted by officers with the Edinburg Police Department, Hidalgo County Constable Precinct 4, and the Texas Alcoholic Beverage Commission, among others. Tina Martinez, who identified herself as the owner of Danny’s, said agents rushed into the establishment with guns drawn, surprising both herself and customers. The truck in question was parked outside the bar, and the driver was allegedly arrested, according to Martinez. Edinburg police and TABC referred all questions to the DEA, which could not be reached for comment Friday evening. 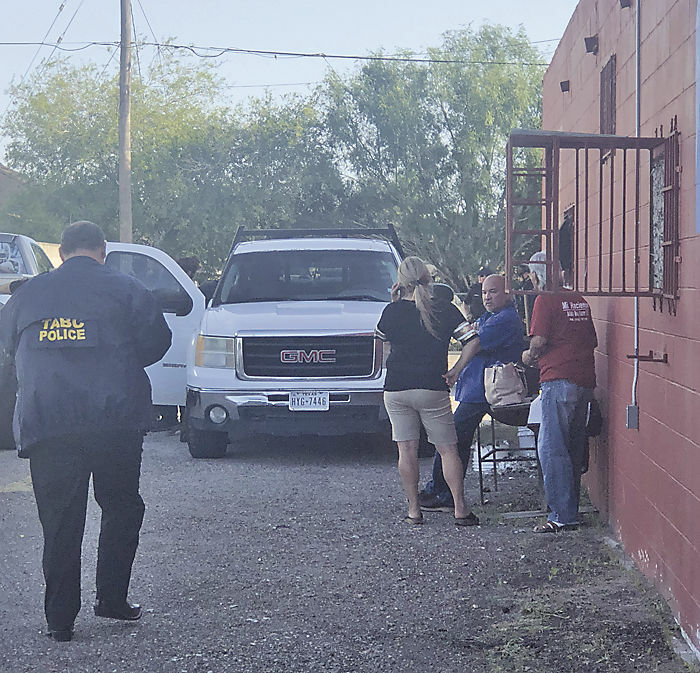 A person at the agency’s McAllen office said no one was available to take questions until the office re-opened Monday morning.